Ellie and her ghost-trapping partner, Stacey, have a new case: a family of four living in an old mansion is being haunted by multiple ghosts. Their teen-age daughter is being plagued by a poltergeist, but even more worryingly, their seven-year-old son suddenly has two imaginary friends who aren't exactly imaginary, and who don't want Ellie and Stacey interfering. I liked this novel as much as I did the first one in this series: the ghosts are scary, the characters are personable and funny, and the ending is suspenseful. It had an added twist to it with the poltergeist that I kind of liked. This novel's only fault? It's too short. Just 176 pages. It's main focus is on the haunting and trapping of these malevolent ghosts, which might not be enough story for everyone. But I thought it was a fun ghostly read! Detective Mattie Cobb and her K-9 partner, Robo, are back. This time they're searching for Cole Walker's youngest daughter, Sophie, who's gone missing. The police are afraid she's been abducted. Compounding their fear is the recent death of another young girl who looks a lot like Sophie. Mattie, along with Robo, are determined to find her in time. I liked this particular mystery even more than the first two in this series. Mattie is struggling with some personal demons in this one, but she and Robo are still an amazing team. And the last half is a real page-turner. I read it in a day. I haven't read any of the Ghost Trapper series, but it sounds like spooky fun! I've liked all of the Timber Creek K-9 books so far and adore Robo. Mattie and Robo do make an amazing team! I haven’t heard of either of these but the sound good. That it a short book though. 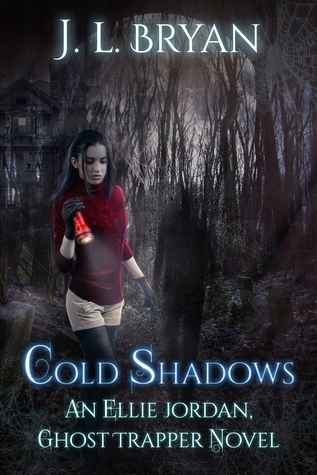 Cold Shadows sounds like a great book. I haven't tried the series, but I would like to. I love K-9 mysteries, and I've read too few of them. I really like both of these series. They're just fun reads. Several members of my mystery group are big, big fans of Robo and the series. 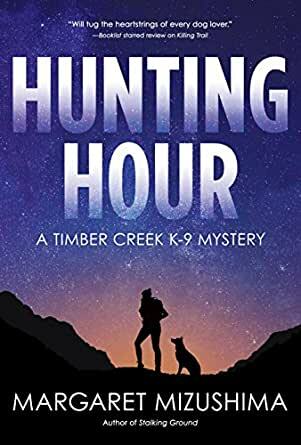 We recently did a 'service dog' theme and this author's books were mentioned over and over. Glad you enjoyed this one. I enjoyed the first book in J.L. Bryan's Jenny Pox series. I never finished reading the rest of that series, and I have no idea why! I like the sound of the ghost hunting book! I need to remember that for Fall when a good creepy story is just what I'm looking for! Ooh...yeah. It'd be perfect for that!